Grace is a graduate of the US Naval Academy and served eight years in the U.S. Marine Corps as a helicopter pilot,deploying three times to combat zones in the Middle East in support of Operation Iraqi Freedom. Today, Grace serves as President of TOTE Maritime Alaska. She is the recipient of the 2016 Top 40 Under 40 Award and the 2017 Alaska Business Hall of Fame Denali Award. 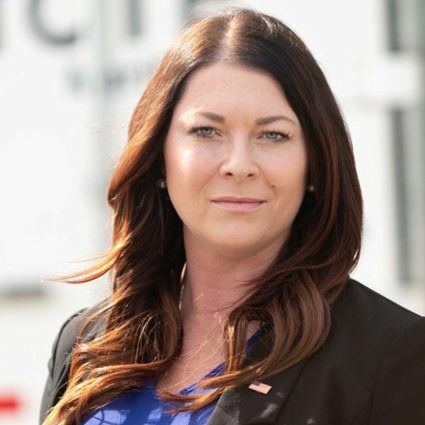 Grace believes in our strong community and gives back with her service on numerous boards, including Covenant House Alaska, Providence Alaska Hospital Foundation, the Anchorage Mayor’s Charity Ball, and U.S. Senator Dan Sullivan's Military Academy Review Committee. As a veteran, business and community leader, wife, mother and friend, Grace believes that there is no more rewarding success than helping others to achieve their best and is proud to call Girdwood her home.